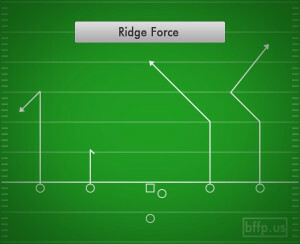 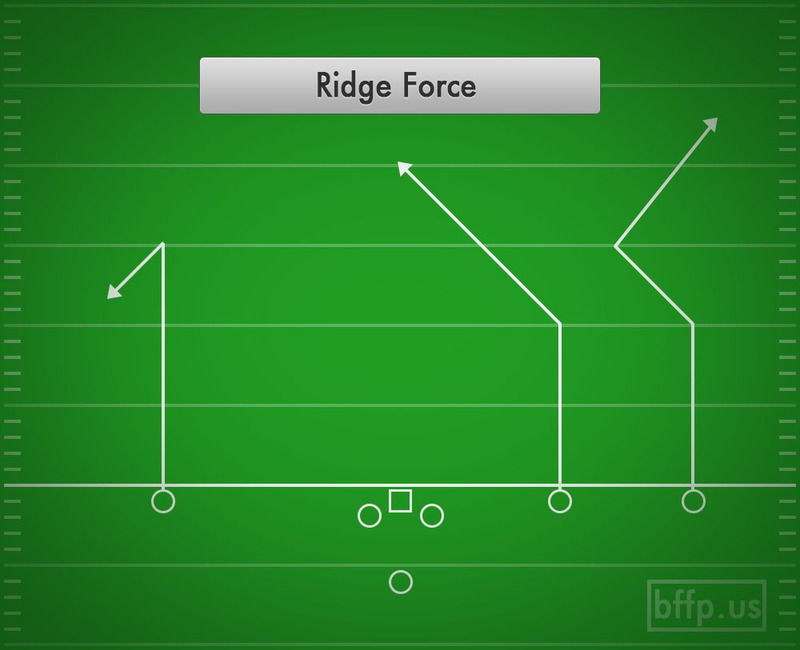 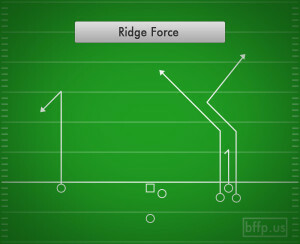 The Ridge Force play forces the defense to flow with the flow with the combination of the two post routes coming across the top ridge of the defensive secondary. 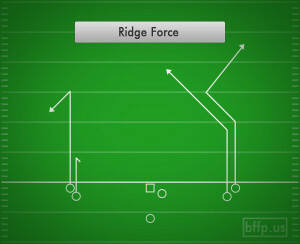 Once the defenders start flowing with the combination of those routes, the outside receivers breaks hard to the outside on the Post Corner route. 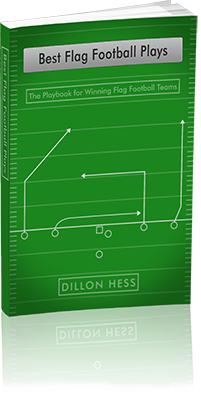 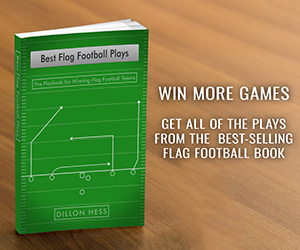 The double move by the outside receiver will force the Safety into a hard decision if he is playing in a cover 2 zone, because he will be sitting right in the middle of two deep routes into his territory, but he can only choose to guard on of them. 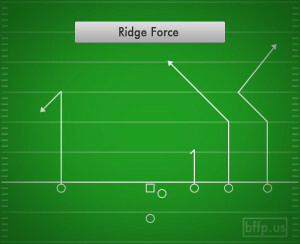 If the defense is in a three deep formation and/or playing in a Cover three, then the QB will most likely want to drop down and hit the Comeback route on the other side of the field.